Try it on a cheese board. It makes a delicious accompaniment to cured meats and cheeses of all sorts, but our personal favorite is a creamy blue cheese with a dollop of Balsamic Fig Almond Spread. Add it to a grilled cheese sandwich or panini. Our favorite combinations are a grilled cheese with brie and a panini with goat cheese, arugula and fig spread! 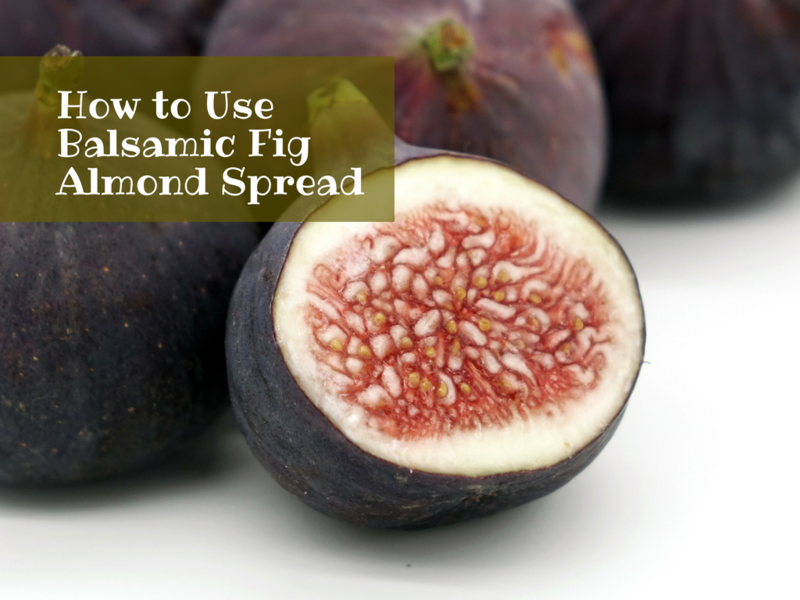 Check out this video from our test kitchen that transforms our Balsamic Fig Almond Spread into a Ricotta Fig Almond Spread that is a perfect party appetizer. Blend it with one of our Olive Tapenades and a bit of Blood Orange Olive Oil for a sweet and savory Fig & Olive Tapenade that makes a delicious dip or spread in its own right. Top a homemade flatbread or pizza with strips of prosciutto and dot with Balsamic Fig Almond Spread. When it comes out of the oven, top with fresh arugula tossed in your favorite EVOO and fresh cut figs.